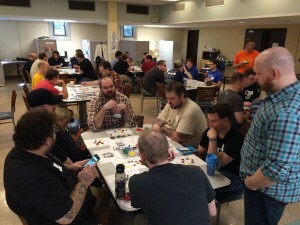 Inspired by Ticket to Ride game designer Alan Moon’s annual “Gathering of Friends” event, last year, Stonemaier Games hosted and ran our first Design Day. 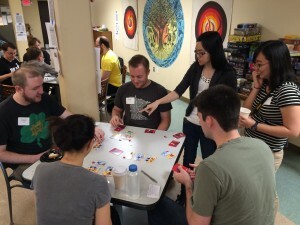 The idea was to bring together designers and playtesters to give and receive feedback on game prototypes, expand their network within the gaming community, and learn from clever mechanisms in published games. 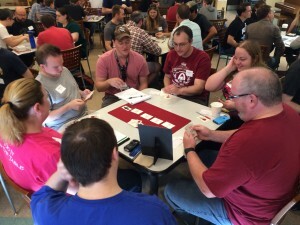 I wrote about the 2014 Design Day here. We viewed the previous Design Day as a success, particularly in terms of community building, so we decided to run another one this year. It attracted a little over 60 attendees from across the country. It’s neat to build community online and attend other conventions, but I found a lot of value in hosting our own thing. 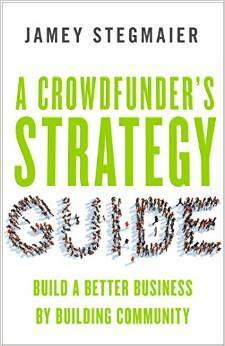 That’s why I’m writing about it here on my crowdfunding blog–there are lots of ways to build and foster a healthy crowd, and this is one of them. Last year I polled attendees on the types of games they’d like to present or playtest, and then I (with the help of a friend) culled through all that data and created the schedule. It was incredibly time consuming, and the feedback I got was that people wanted to choose their own schedule, not have me choose it for them. So this year I set up a Google Doc with a few different tabs, including one where designers could list information about their prototypes so playtesters could make informed decisions. Another tab had the schedule itself, which designers first populated with their games (there were varying timeslots for games of different lengths), then playtesters populated with their names. All of this happened months before the event, giving people time to change their picks and even arrange to play games with specific friends. Because many Design Day attendees traveled into St. Louis from pretty far away, I wanted to give them a little more than just one day. 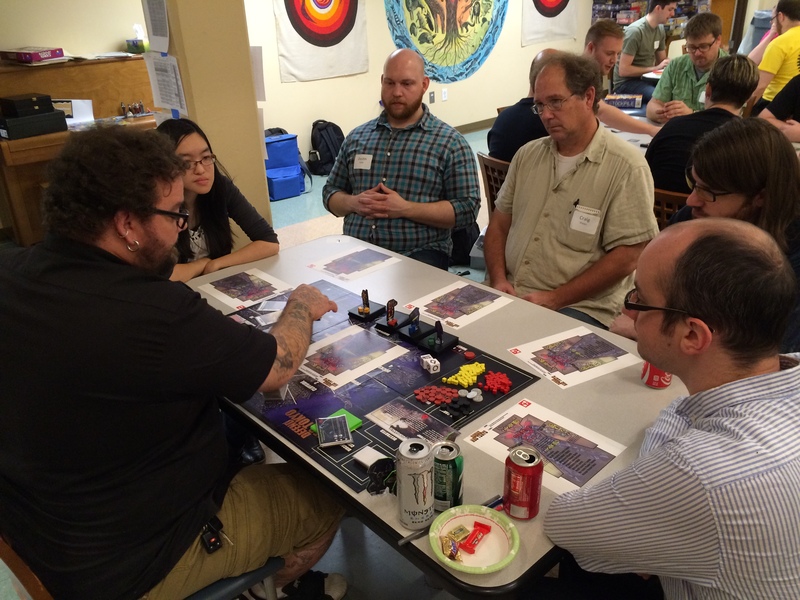 So I hosted a game night on Friday for a few hours for about 20 people, which was a lot of fun. My condo isn’t huge, but it was just big enough for 20 people, and good for social games like Two Rooms and a Boom. It’s a long, intense day. The meal breaks were helpful, but I think it would have been good to take one outside break as a group to get some fresh air. We also tried to disperse candy at key times when people needed a chocolate boost. I really enjoyed trying to pamper attendees–both Alan and I were in full “host” mode. Also, one thing we learned was that (a) we should have ordered a little more food and (b) for each meal, we should have held back some food for people whose playtests lasted a little longer than the others so they wouldn’t be left with the scraps. Last year we kind of stumbled into a game giveaway/raffle because Miniature Market donated a ton of games, and I tried to match all of them with games from my collection. The result was that attendees had something tangible to take home from Design Day, which I really liked. This year, I asked each attendee to donate the best game from their collection that they no longer play. I was really pleased with the quality of games that were donated as a response to this ask. We ended up with 83 games for 63 people. The first 43 people I randomly selected got 1 game, and the remaining people got 2 games. Instead of yelling out names like last year, which took a lot of time and made the entire event pause for 20-30 minutes, I went around and found each person individually as I drew their name. I’d pause whenever there was too much of a crowd around the games to let those people pick before sending over a new batch. For the most part this worked well. I think the only problem was that the last 20 people received an uneven assortment of games. So I think next year I’ll make sure Stonemaier has enough product available to contribute to the pile of games at key intervals. Last year, Design Day was free. It cost us around $1500. We got overwhelming feedback that people were willing to pay for the event. We don’t want to make money off design day, but having money to offset the cost of the food and facility (a social hall at a local church) was a huge help. Attendees paid either $20 or $25, depending on how early they signed up. We also thought that having paid attendees would reduce the number of no-shows. Because of the precision of the schedule, even just a few no-shows has a big impact on the schedule. Unfortunately, we had almost exactly the same number of no-shows as last year (around 5 people). No e-mail, no text, no call…they just didn’t show up. Attendees were super flexible and accommodating, so it all worked out. I had a lot of great moments at Design Day–really, there were so many wonderful people in attendance–but I think my favorite moment was as an observer. As I mentioned, we asked all attendees to teach a published game, with the intent being that designers have a lot we can learn from successful games. For non-designers, it’s just always nice to be taught a new game. 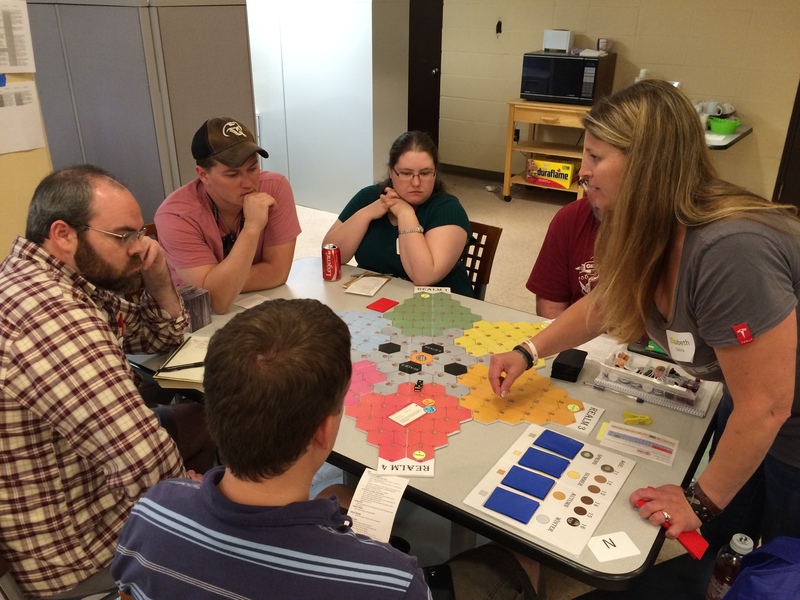 There’s one family that has attended Design Day each year, and this year the parents worked with their sons to learn how to teach games for this portion of the event. So my favorite moment was watching young Nick teach Witch’s Brew to a group of 5 adults (and watching his father observing his son with pride). It warms my heart just thinking about it. 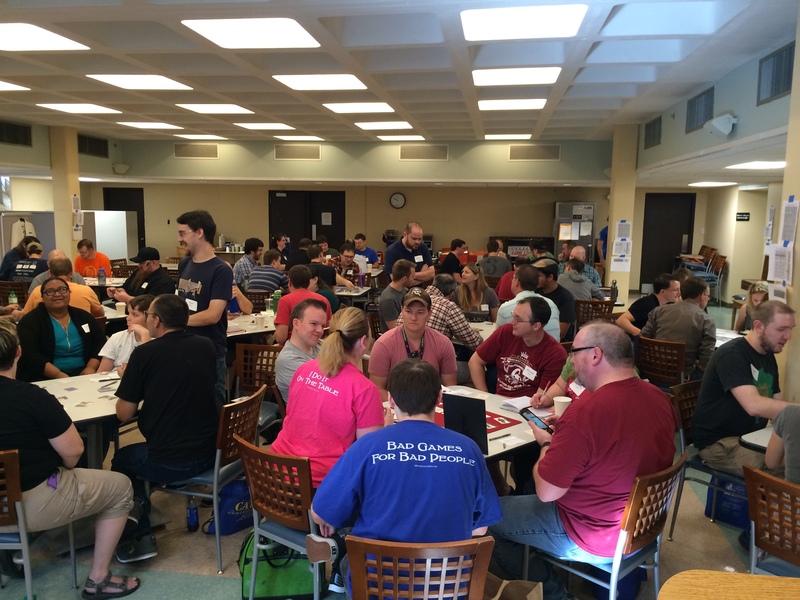 Thanks to everyone who attended Design Day 2015! If you’re interested in participating in the 2016 Design Day, please indicate your interest here. We’ll contact you when signups begin in the spring. Wow, I’m really glad the event went over so well and I’m sorry I missed it. I’ve signed up to receive notification next year so I don’t make the same mistake twice. It sounds like you learned a lot as well and may be on the road to your own convention. I’m sure this was a great opportunity to get to meet with other designers and get some really good feedback. I think sometimes our local playtesters can be too generous because our gaming community is so tight knit here. 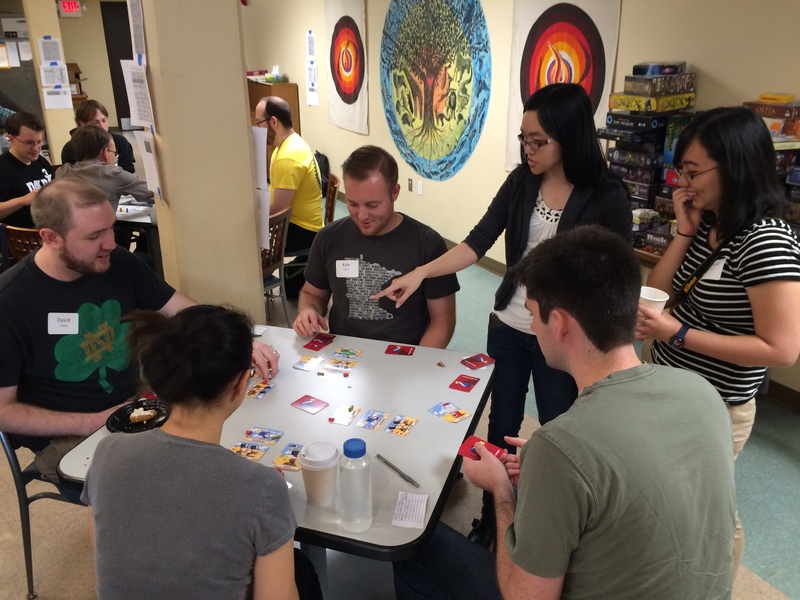 We have 2 FLGS which are a bit competitive but we game at both and so we know most of the gamers in the area by sight if not by name. One of the things I respect about you the most is that you view everything you do (whether it’s: playing a game and looking at the mechanics or putting out a game on Kickstarter or hosting an event) as a learning experience. It makes me want to strive to do the same. So thank you for that. Billy: Thanks for indicating your interest in next year’s design day! It’s a bit of a drive from Indiana, but it’s not too bad. Most people drove in on Friday so they could get a full night’s sleep before the long day. Sign me up for the next design day. I can’t guarentee I’ll be able to come but if its on my radar, I’ll certainly try. I’m sorry you missed it, John! And I’ve definitely missed the Board Game Designer Meetup. 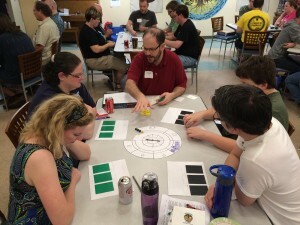 I host my weekly game night every Wednesday–it used to be Wednesday or Thursday, but it’s been solidly Wednesday for a while now, hence the conflict.